If you need equipment for breathing therapy, finding the right products from the right brands is important. To make things easier on you, Allegro Medical has gathered a variety of products from top brands, such as AliMed, Cardinal Health, and Smiths Medical. 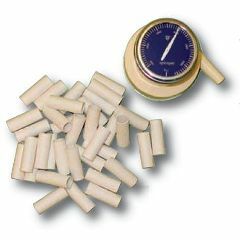 Some of the options include medical equipment spirometers, medical inhalers, disposable suction canister kits, face masks, tube clamps, and flow meters. At AllegroMedical.com, we offer the best products at the lowest prices. Be sure to check out our Best Price Guarantee to learn more.